Yesterday 26th September at 17:00 New York Time, the West Papuan People’s Petition, together with the Global Petition for West Papua was presented to the United Nations Decolonisation Committee by Benny Wenda, the Spokesperson for the United Liberation Movement for West Papua (ULMWP). This incredible petition was signed by 1,804,421 people and an estimated 70.88% of the West Papuan population, making it the largest grassroots democratic act of expression in West Papua’s history. 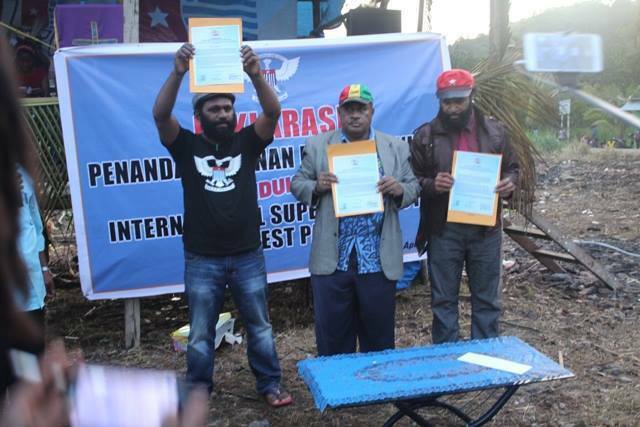 On delivering the petition, Benny Wenda stated: “Today, we hand over the bones of the people of West Papua to the United Nations and the world. After decades of suffering, decades of genocide, decades of occupation, today we open up the voice of the West Papuan people which lives inside this petition. This is the Free West Papua Campaign’s story behind this monumental petition and the way it has galvanized so much passion, hardwork and solidarity, both from within West Papua and around the world. 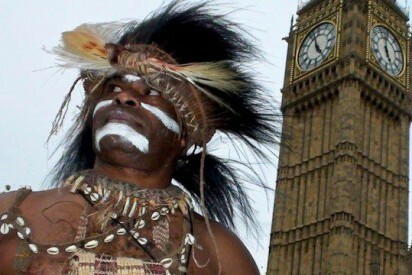 In January 2017, the people of West Papua launched the Global Petition for West Papua at the British Parliament in Westminster. This was then followed by the West Papuan People’s Petition, hand-signed by thousands upon thousands of people inside West Papua; conveyed across 185 countries; and then swam across Lake Geneva, in a dedicated and emotional international solidarity campaign. 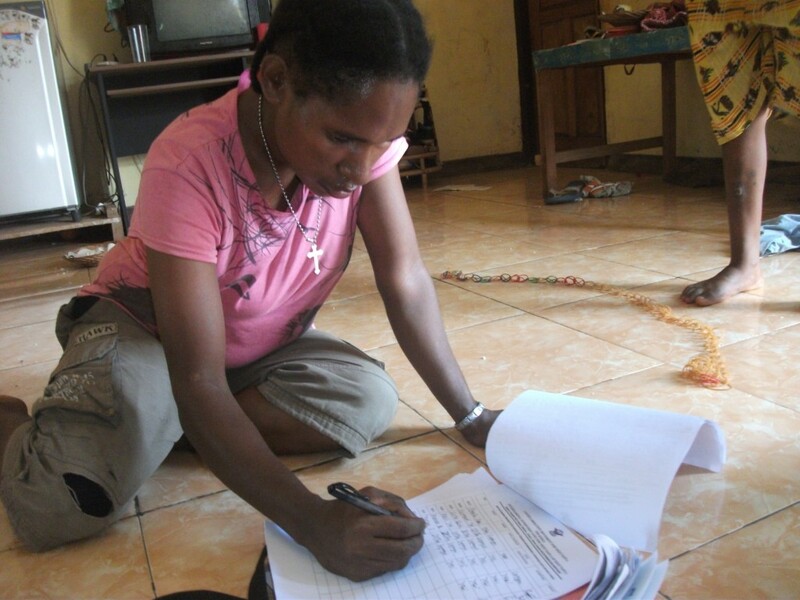 The West Papuan People’s Petition is the voice of the West Papuan people clamouring for freedom, and represents their desire for self-determination. The journey of the petition has begun to shine a light on the West Papuan struggle for self-determination; and to harness the voice of the incredible and courageous people of West Papua. They have literally risked their lives to ensure that after 55 years, their voices finally reach the United Nations. The formation of the petition. 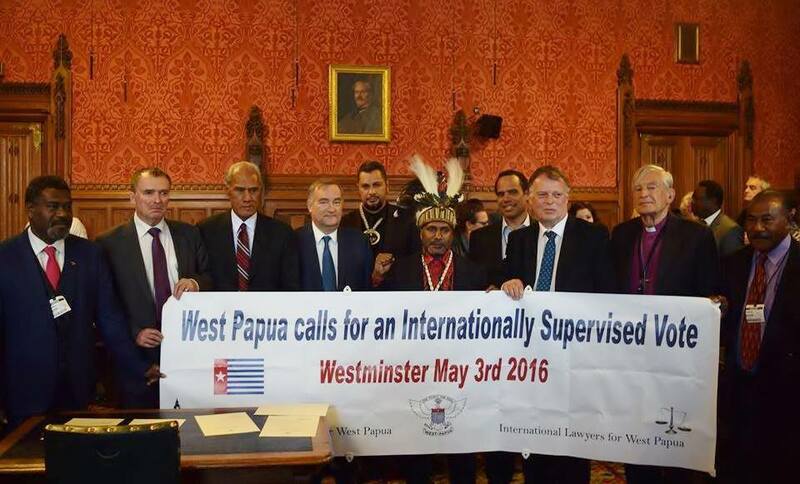 On 3rd May 2016, the Westminster Declaration for an Internationally Supervised Vote was launched at the British parliament in Westminster by members of the United Liberation Movement for West Papua (ULMWP). It was attended by many well-known parliamentarians, including the Prime Minister of Tonga, the Vanuatu Foreign Minister and UK Foreign Minister Hon. Jeremy Corbyn. Following this incredible declaration, the ULMWP began preparations with the Free West Papua Campaign to capitalise on the overwhelming support for freedom from within West Papua and the growing numbers of international supporters in solidarity. It was therefore agreed that grassroots, national and international petitions should be run in tandem to demonstrate to the United Nations, the mass support for West Papuan self-determination. 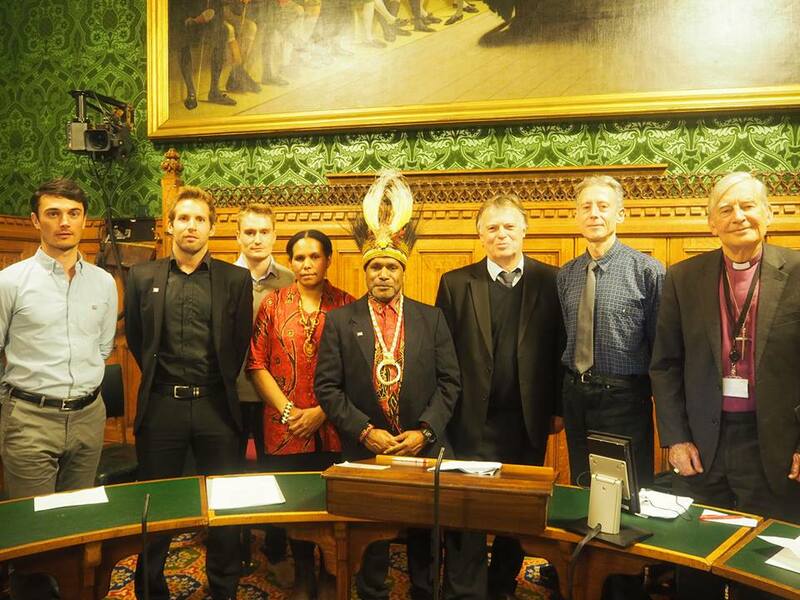 Following the historic Westminster Declaration, The Free West Papua Campaign met Joel Evans, a British swimmer inspired by the West Papuan people’s struggle while travelling throughout Melanesia. He came up with the courageous and exciting idea to swim the petition across Lake Geneva and to the United Nations Headquarters. The international solidarity campaign around the Global Petition was launched at the British parliament on 24th January by members of the United Liberation Movement for West Papua, together with members of the International Parliamentarians for West Papua (IPWP), Joel and the Swim Team and renowned human rights activist Peter Tatchell. Internationally, The Free West Papua Campaign mobilised tens of thousands of people across the world to sign the petition and show their support for it. People everywhere took photos of themselves with the hashtags #BackTheSwim and #LetWestPapuaVote to raise awareness around the petition and held petition signing events and gatherings across the globe. International solidarity reaches over 100,000!!! The Global Petition was originally hosted on Avaaz. However, due to Avaaz being banned in Indonesia following the petition launch, it affected online signatures. Therefore, we also set up the petition on Care2, and they collected 70,000 more signatures in just 5 days! Along with the names from West Papua, we are confident that the numbers will be a significant demonstration of a demand for West Papua’s fundamental right to self-determination, and one the UN will not be able to ignore. The West Papuan People’s Petition was launched on 5th April 2017 by the United Liberation Movement for West Papua and ran until 29th July. The Indonesian government reacted by criminalising and banning this petition across the whole country, and arresting people for signing it. 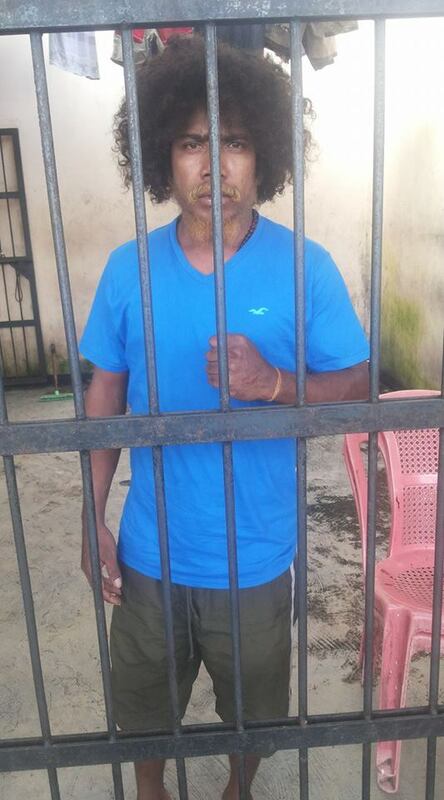 West Papuan deputy leader of the West Papua National Committee (KNPB) in Timika, Yanto Awerkion is currently still being detained by the Indonesian police, and is facing charges of treason and 15 years in jail. (Please see press release attached). Despite this, thousands upon thousands of West Papuans have been meeting in secret to sign this petition with pen and paper. Those who were unable to write signed their names with fingerprints. On 28th August at 08:30 in the morning, at the far shores of Lake Geneva, 6 swimmers departed across a 69km journey that lasted over 28 hours. 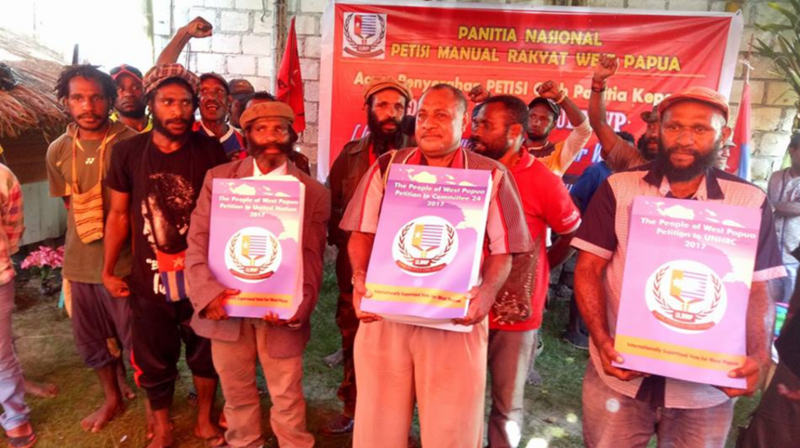 With them, they symbolically carried both the West Papuan People’s Petition and the Global Petition with names from over 185 countries, in solidarity with the people of West Papua. Back in West Papua, thousands of people gathered in the capital city of Port Numbay/Jayapura to watch the swim on a makeshift big screen and cheered on the swimmers! 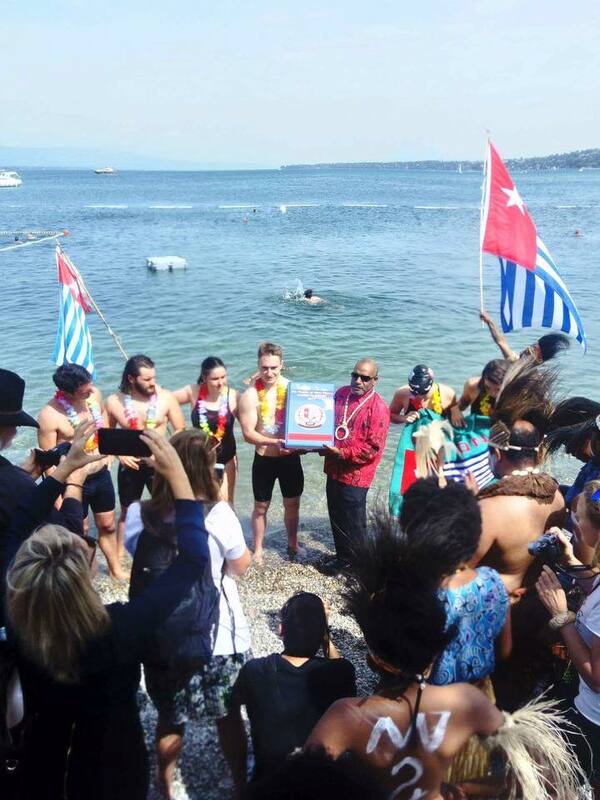 At approximately 12:30, the next day, the swimmers, led by team captain Joel Evans arrived at the shores of Lake Geneva, greeted by West Papuan people singing and dancing with flags and drums. It was a truly emotional moment for everyone as the swimmers were presented with garlands and embraced by the welcoming party. 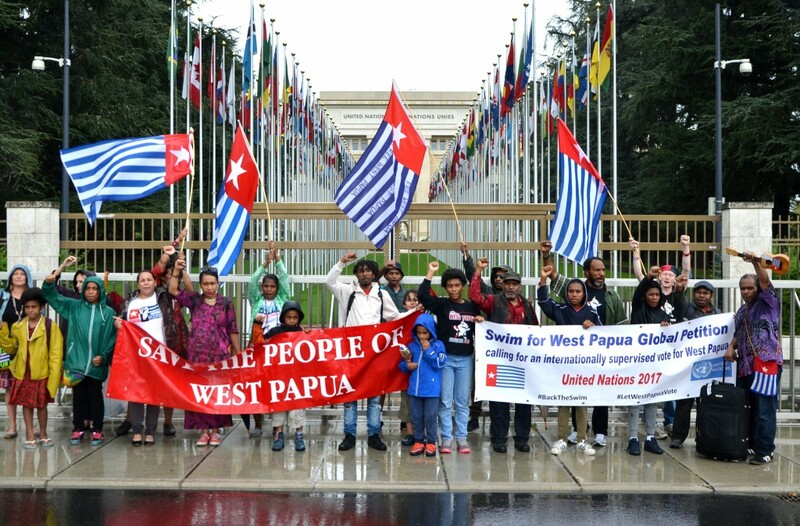 The next day on 31st August 2017, the Free West Papua Campaign, joined by the swim team, symbolically marched the petition to the United Nations in Geneva and demonstrated for West Papua’s fundamental right to self-determination. 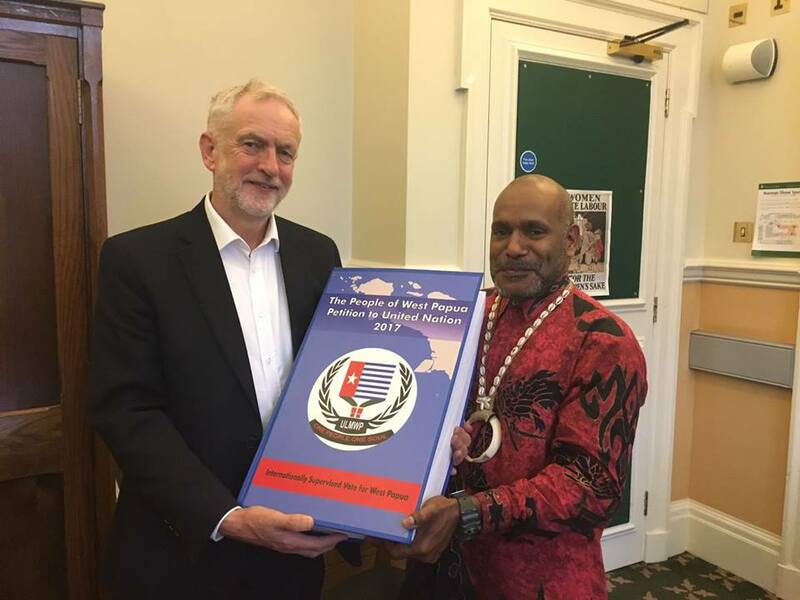 Before making it to the United Nations in New York, the West Papuan People’s Petition was also presented to and given the support of UK Opposition Leader Hon. Jeremy Corbyn MP. Human rights abuses that happened during the petition (unrelated). 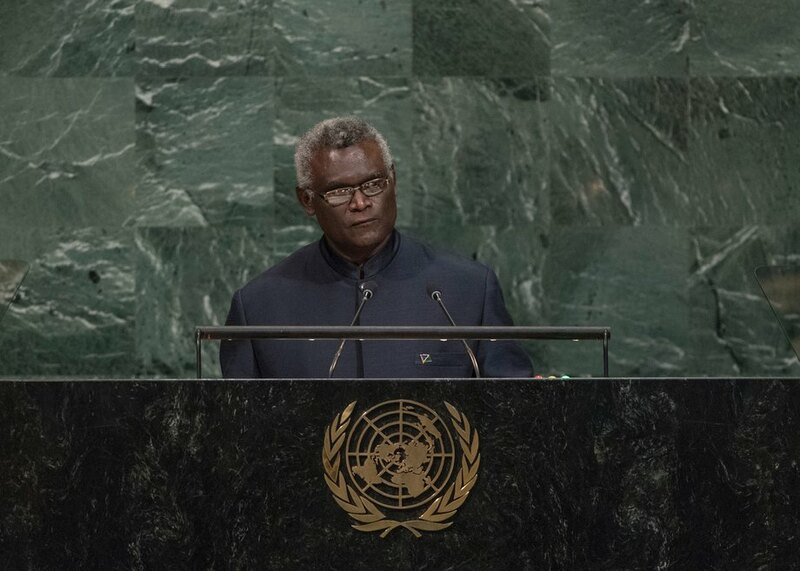 At the 72nd Session of the United Nations General Assembly, West Papuan self-determination was supported by the Prime Ministers of Tuvalu, Vanuatu and Solomon Islands during their leaders’ speeches, marking an historic moment in which West Papua was supported the highest level following their historic petition. Together, they and other Pacific nations make up the regional Pacific Coalition on West Papua (PCWP). ULMWP representatives also brought the petition to the United Nations and had it blessed and endorsed by these governments before handing it to the relevant UN officials. A former Dutch colony with the promise of independence, West Papua has been under Indonesian occupation since it was invaded in 1963. The United Nations promised the people of West Papua a free and fair act of self-determination (an independence referendum) but this so called “Act of Free Choice” was hijacked and grossly violated by Indonesia. In 1969, the Indonesian government handpicked just 1,026 West Papuan people (less than 0.2% of the population) and forced them under threat of violence to vote for Indonesian rule. Ever since, the people of West Papua have demanded a genuine act of self-determination in a new independence referendum/internationally supervised vote on independence. Foreign media, human rights groups, UN human rights inspectors and NGOs are banned from operating in West Papua, so people rarely hear about the situation there. The Free West Papua Campaign is bringing the story of West Papua to the world and campaigning for freedom and justice in West Papua, to end the violence of the last 50 years. Global attention on West Papua has been steadily growing in recent years with the unification of the West Papuan representative bodies under the United Liberation Movement for West Papua,  the formation of the Pacific Coalition for West Papua,  and the launching of a petition to the UN calling on the international community to support a new referendum in West Papua. The petition has already gained 133,000 signatures across the globe,  with thousands upon thousands of signatures being collected by hand in West Papua itself. He remains in custody facing treason/rebellion charges, and a subsequent 15-year jail sentence. July 8th, 2017- Nabire, West Papua Over 130 West Papuan people in Nabire arrested, including children. Many tortured. Ask your political representative to join the International Parliamentarians for West Papua (IPWP) and call for the UN to recognise West Papua’s right to independence.